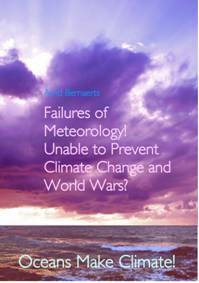 For meteorologists at that time the weather forecast was a matter of statistics, and that went desperately wrong for winter 1941/42. As mentioned already earlier Franz Baur (A2e, p. 7 predicted a normal or mild winter, because in the regional climatic history it had never occurred that there had been more than two severe winters in a row. The previous two winters had been exceptionally cold, the meteorologists at that time made their forecast accordingly, which quickly proved to be faulty in the worst possible way. This has spurred many analyses about which impact it had on the German drive eastwards, but none for what the military assault has had on weather. The result shall be briefly presented in order to outline a picture of the weather excesses, which should not be expected in any way to be a historical account of events. Fig. 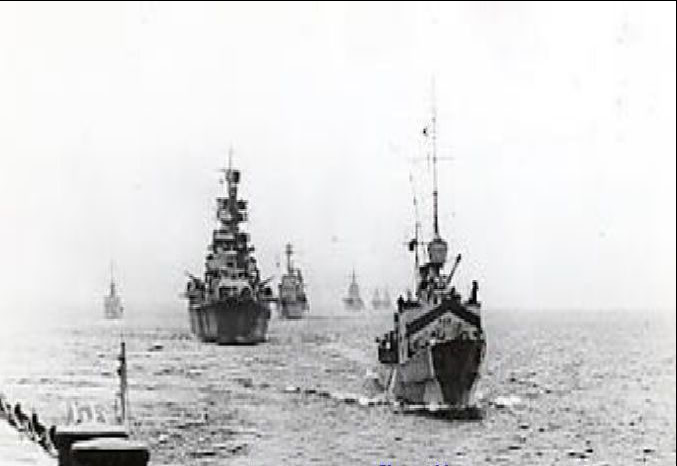 E3-1; German naval unit in the Baltic Proper. Autumn 1941. Fig. E3-2; German naval unit in the Baltic Proper. Autumn 1941. This winter was preceded by two different weather periods, one from June to about mid October 1941 (TM10, p. 143), and a one month rainy period lasting no longer than early November 1941. Little is know about what the weather forecaster had assumed for this period and how reliable it had been. Along a frontline extending from north to south with more than 2000 km the weather must have very variable, and one can assume that the German Army generally faced normal weather conditions, which the forecasters may often not have known. According to Neumann et al (1987) the mud period of autumn was not mentioned at all, and the inefficiency of that period came quite unexpectedly. What might be of interest, but can not investigated here, is the relation of precipitation in Western Europe to that towards several hundred kilometres further east. The first phase until October was more dry than wet. The German troops seem to have had some problems with dust, which presumably was self inflicted by the own motorized convoys. This impression of an exceptional situation may have even more been exaggerated during following mud period. For a highly motorised army and the requirement to cover huge distances to ensure supply and communication, may quickly turn into a nightmare even if the meteorological situation is normal. 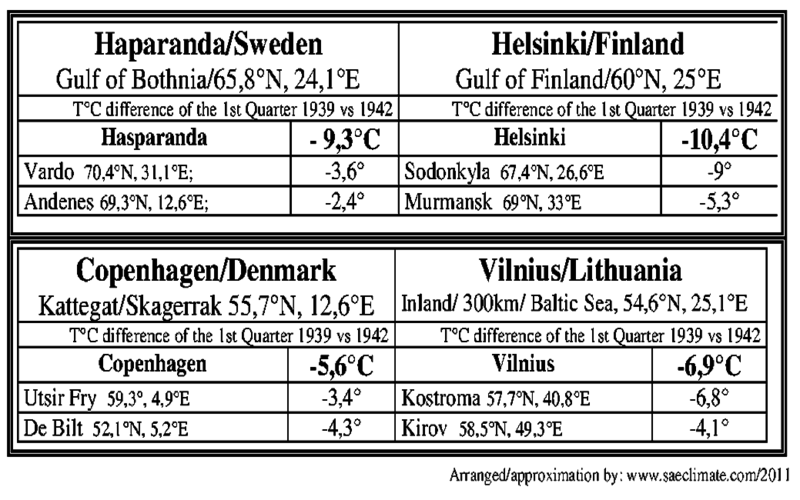 According to a table on precipitation in Leningrad and Moscow by Neumann et al (1987, Table 3) only during August the value [in: mm] was about 10% higher than average. 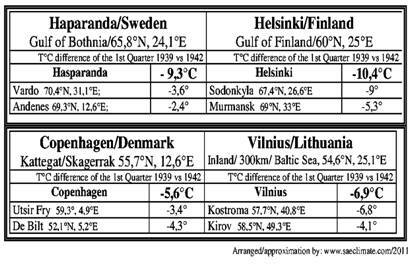 In Leningrad the figures for Sept-Nov. are considerably lower than mean, and variant in Moscow (Sept. 75mm vs mean 58mm; Oct. 0%; and in Nov. 13mm vs mean 36 mm). To remind: South-eastern Germany had precipitation 350% above normal in October (E1, p. 126). 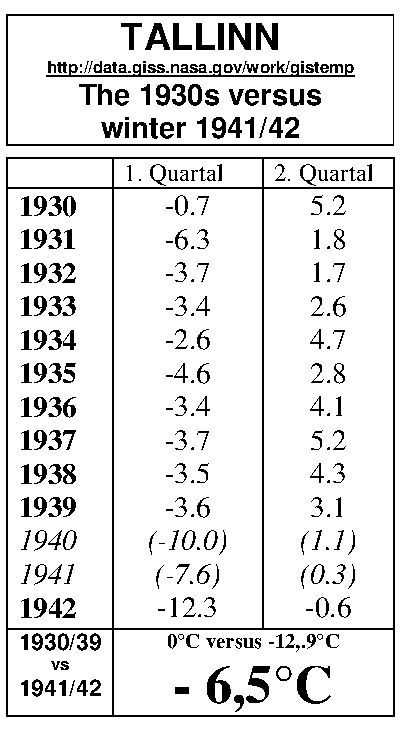 Historical research tends to assume that the mud period in autumn 1941 was more severe than usual (Neumann). Nothing is alleged whether naval warfare in the seasonally warmed seas caused more evaporation, or whether fighting combats generated conditions more favourable for precipitation. The issue was discussed in the section concerning the first war winter (see Chapter C4) and the possibility that reduced amounts of humidity in the northern hemisphere, is likely to increase the outbreak of polar air to mid latitude regions. Fig. E3-3; Moscow winter T°C (D/J/F), 1880 to 2005. 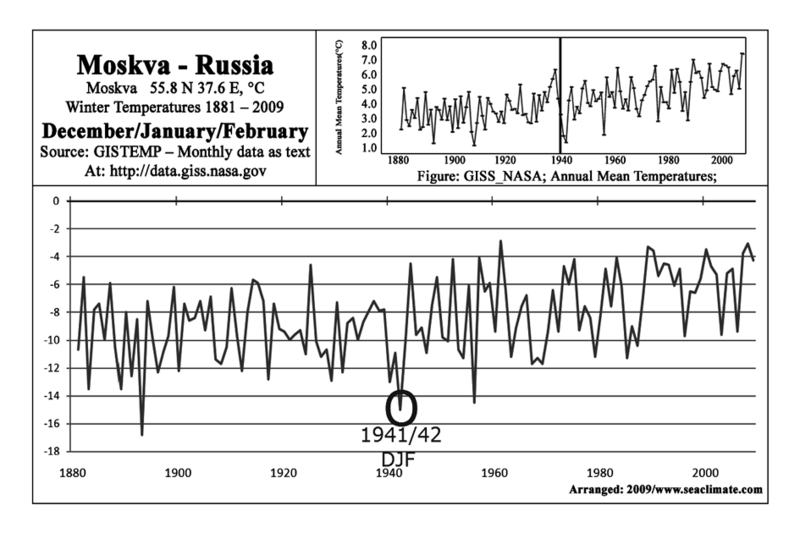 Quote: In 1941 winter weather arrived in Russia earlier than usual. In normal years, snow begins in central European Russia about mid-November and severe cold sets in during the latter half of December. Initially, that was not entirely detrimental to German operations, because it cut short the autumn ‘rasputitsa’, the period of heavy rains which twice a year turns the unpaved roads of central and northern Russia into an impassable morass of mud. The temperature dropped sharply at the beginning of November, causing the roads to freeze, thus allowing the movement of trucks and tanks. 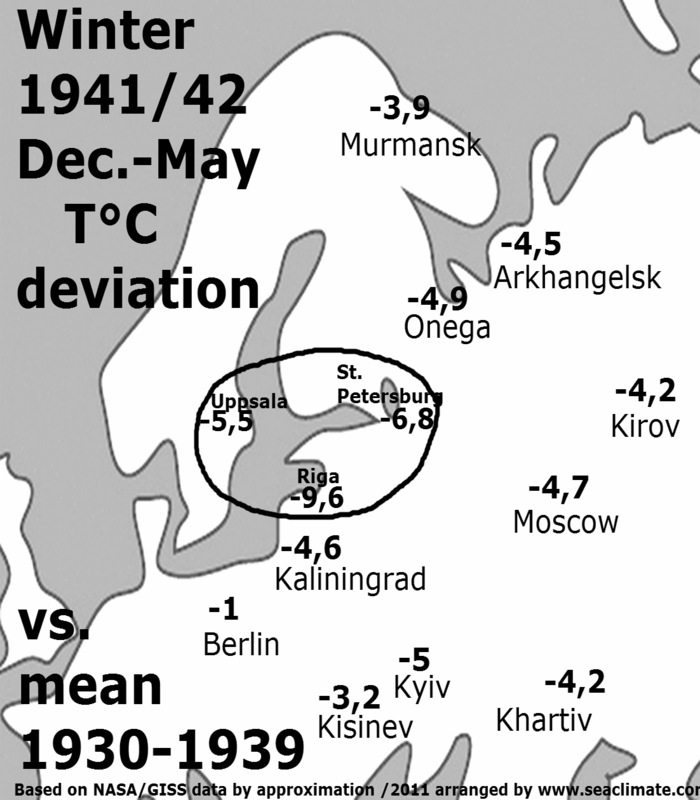 Although there is a general agreement concerning weather conditions on the Russian front through October 1941, there are many conflicting versions of the severity of temperatures during the weeks and months that followed. For example, Field Marshal von Bock, commander of Army Group Center, recorded in his war diary on November 5 1941 that the mercury dipped to –29°C (-20°F), and Albert Seaton reported that around November 24 it was a steady –30°C (-22°F). In contrast, Marshal Zhukov, then responsible for defending the approaches to Moscow, stated that during the November general offensive the temperature on the Moscow front remained stable at –7° to –10°C (+19° to +14°F). 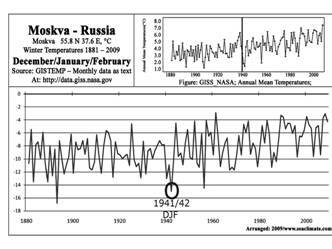 In a work specifically refuting German accounts, another Soviet spokesman cites the Meteorological Service records of the minimum temperatures for the Moscow area in late 1941: October, -8.2°C (about +17°F); November, -17.3°C (+1°F); December, -28.8°C (-20°F). There were also many reports of temperatures as low as –40°C during that exceptionally cold winter, and at least one report of –53°C (-63°F). In terms of casualties, the precise temperatures are virtually meaningless, because a poorly clothed soldier exposed to the elements is susceptible to frostbite even at temperatures warmer than –18°C (0°F). As previously noted, the Allies suffered more frostbite casualties during the fighting around Bolshie Ozerki from late March through early April 1919 – when the lowest temperature was only –20°C (-4°F) and daytime thawing caused wet boots – than they experienced during the coldest periods of that winter. There had been some snowfall as early as October 1941, and heavy, cumulative snows began about December 7. Strong winds and blizzards followed, creating massive drifts. The exceptional cold caused the snow to remain unusually powdery and deep long after it had fallen. Marshal Emerenko estimated the winter’s lasting snow cover in the region between Moscow and Leningrad at .7 to 1.5 meters (28-59 inches). This snow cover greatly restricted German mobility, but it also hampered the Red Army. One German source frankly states that the fate of the overextended Army Group Center would have been even worse had there been less snow, concluding that “complete collapse [of the German units] was prevented … especially by the deep snow, which constituted a major obstacle [to the Soviet counteroffensive].” Discussing the plight of about seven divisions that were cut off in January 1942, a German commander observed that “the deep snows protected the encircled German troops around Demyansk from annihilation. Even the Russian infantry was unable to launch an attack through those snows.” Unquote. Although not the details of the cold or how precise available conditions are, but the question whether all this would have happened without war, the premier source to assess the circumstances is the observed temperature. Any excessive generation of nuclei for precipitation by war on land and in the air may have contributed to the autumn ‘rasputitsa’, and the snow condition that hampered the movement of combat. The key for rain and snow is the temperature. A high value of humidity and a low temperature is what makes the stuff. 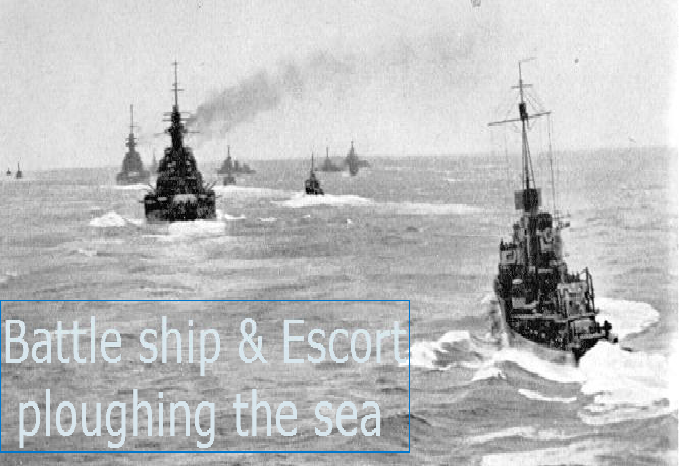 On both issues the naval war operating in the marine environment during the autumn and winter season is a significant contributing source. Due to the continental location of the Baltic, and partly separated by the high mountain ridge from Oslo to the North Cape, this small sea is one of the best sea regions to investigate the impact of anthropogenic activities in the marine environment. It is appalling that such considerations need to be based on the most horrible assault man staged on man and nature, but as science did not spend sufficient time on understanding the dominating role of the ocean and the seas on weather and climate, the case “Operation Barbarossa” must unfortunately serve this purpose. Can the role of the sea be emphasized by temperature deviation? 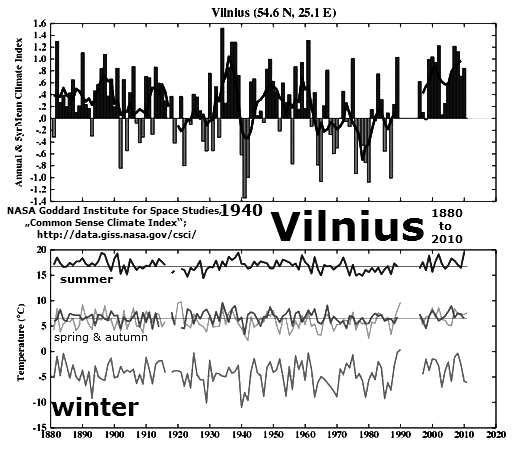 The following discussion tries to make the point, with data records close to the Baltic region. Other sea areas have certainly contributed as well, but the influence of the North Sea and sea beyond is much more complex, and temperature differences are much less pronounced. d. What else does science need to get serious – The Tallinn case! · The results of analysis of mean air temperatures for November–April indicate during the winter seasons that almost all parts of Estonia experienced an overall warming of 0.5–1.0 °C for the period 1900–1990, however the increase is statistically significant only for station Sõrve, for the rest time series the increase is significant on the less than 95% level. 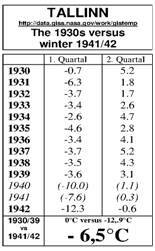 · The early decades of the 20th century were cooler than the period from 1920 to 1936. It seems that nobody asked for an explanation, or did picked the issue, which is scientifically difficulty to accept. 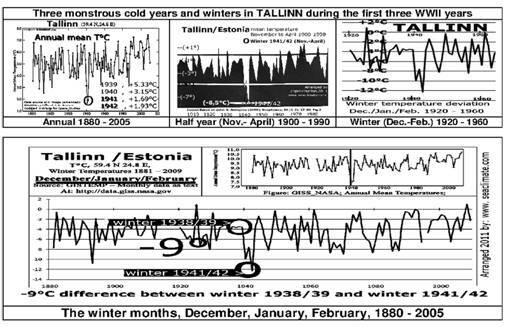 To make up ones mind the data record from Tallinn is presented accordingly for three periods, annual, half-year, and the 1st quarter. As long as one has never come across such graphic images, it may happen that one does not realise their relevance. But if such information is published in internationally available journals and there is no reaction, this is inconceivable, to say the least. · __the deviation is the highest in the Baltic region from St. Petersburg to Uppsala , see Fig. E3-6. The circle in Figure E3-5, includes: Uppsala (.5.5°C), Riga (-9.6°C), and St. Petersburg (-6.8°C). The next circle of stations show already lower numbers, e.g. Onega (-4.9°C), Moscow (-4.7°C), Kyiv (-5°C), and Kaliningrad (-4.6°C). The other stations at even greater distances show much smaler differences. Much more informative are the temperature deviations during the core winter months, December, January, and February. Particularly for the region in question the influence of the sun is minimal compared to the period from March to October. A summery for the three months winter season 1941/42 versus 1938/39 is compiled in Figure E3-8. The deviation is the highest in locations close to the range from the eastern North Sea to the eastern Baltic. Actually the frontline started in the north at the Barents Sea . At the launch of plan ‘Barbarossa’ Germany send several thousand troops to occupy the port Petsamo in summer 1941, which meant heavy Russian resistance, especially from units of the Northern Fleet. The Germans used the location for the attack towards Murmansk , until a major Soviet offensive started in October 1944. NN (year? ); “ Russia at war 1941-1945; General winter”; at: http://www.great-victory1945.ru/winter.htm; Viewed: March 20 2011 , provided with the NOTE: All rights reserved • Copyright © 2006 by Combined Arms Center at Fort Leavenworth .